PLUS SIZE DESIGNER: ERZULLIE’S GONNA TURN 4 NEXT MONTH! YES! Erzullie is about to turn 4 years old next month and we are so happy to have gone this far into the business, meeting a lot of great people and of course, growing the number of fierce plus size women in our roster! Technically, our anniversary is November 6, 2014. Watch out for that because we might have something special for both ONLINE and Showroom customers! The next one is a collaboration with another plus size brand, who is also about to re-launch itself. We are so excited about it. It’s almost settled. We will update you as soon as we do! For the third one, well, it’s still being discussed, but if it pushes through, I’m pretty sure you ladies are going to enjoy it as much as we do. I mean, how much can you get for Php 400? A lot ladies… a lot. If you play your cards right! 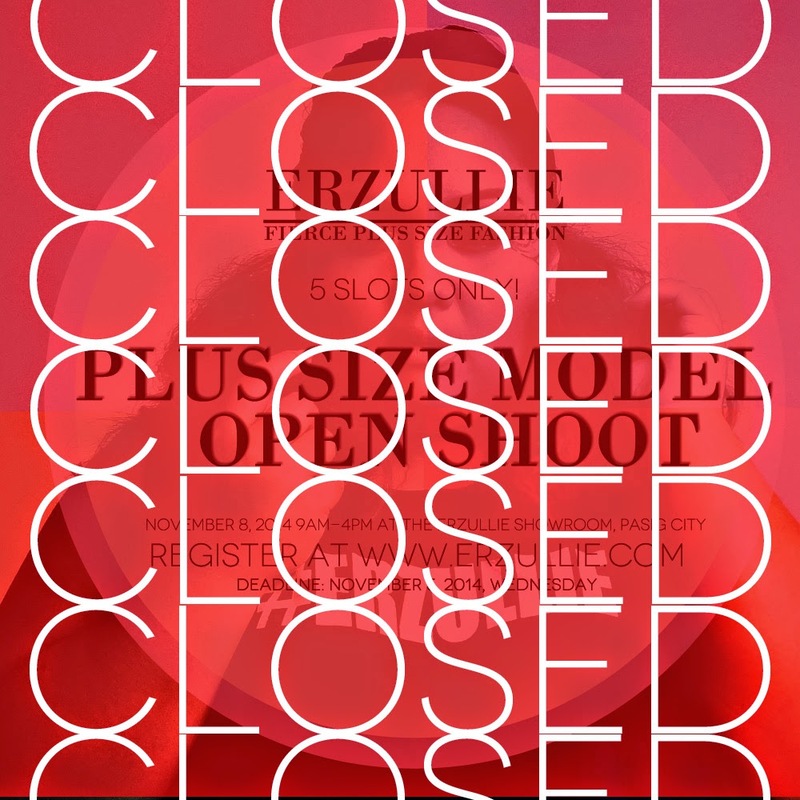 Erzullie is holding an OPEN PLUS SIZE MODEL SHOOT on November 8, 2014, Saturday, 9am-4pm at the Erzullie Showroom, Manggahan, Pasig City. 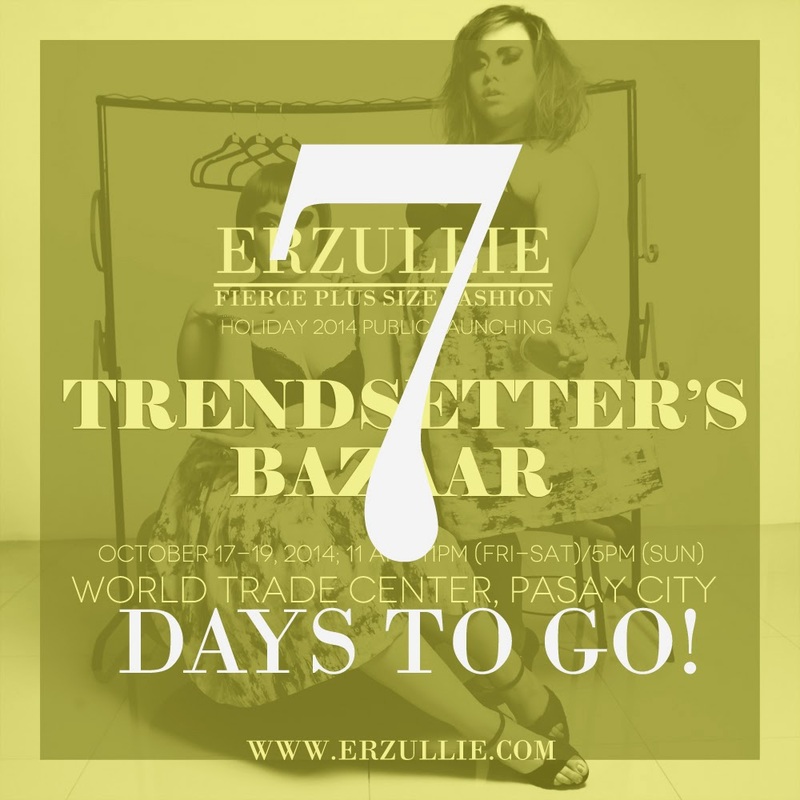 Get the latest and fiercest plus size fashion on October 17-19, 2014; 11AM-10PM (FRI-SAT)/ 7PM (SUN) at the Erzullie Booth, Trendsetter’s Bazaar, World Trade Center, Pasay City! FREE style consultations with our personal stylists and SAVE up to 50% off on all selected items.